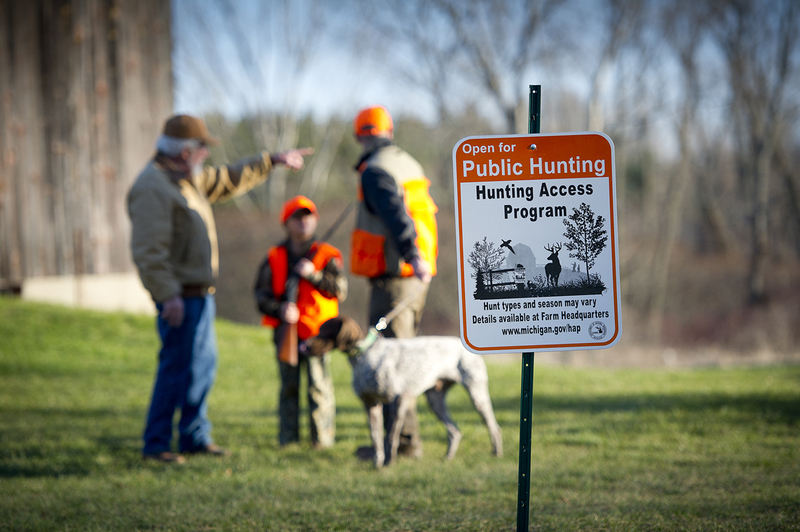 Michigan’s Hunter Access Program pays farmers to allow hunters on their lands. Photo: Dave Kenyon, Michigan DNR. I’ve heard a lot of southern Michigan hunters complain over the years about diminishing access to private hunting lands. Specifically, they talk about farms where they or friends once hunted. For one reason or another that access disappeared. In some cases, the lands were sold, or farmers began to limit access because of problems with hunters. Still others closed their property because they were offered good money for private hunting leases. The end result was fewer private farms to hunt in southern Michigan. But it appears that is changing. The Michigan DNR recently announced that it will receive a $1.2 million federal grant to expand its Voluntary Public Access-Hunting Incentive program. You may have heard of HAP (Hunting Access Program), which pays farmers to allow the public to hunt their lands. It was created in 1977, a popular idea that quickly mushroomed. By 1981, at the peak of the program, hunters were able to access 792 southern Michigan farms and 188,000 acres. Today the HAP list offers only a fraction of that. The low point came in 2010 when only 47 farms and 7,400 acres were enrolled. The decline was due to all of the mentioned reasons along with state budget constraints. The DNR couldn’t pay farmers as much as they got from private hunting leases. 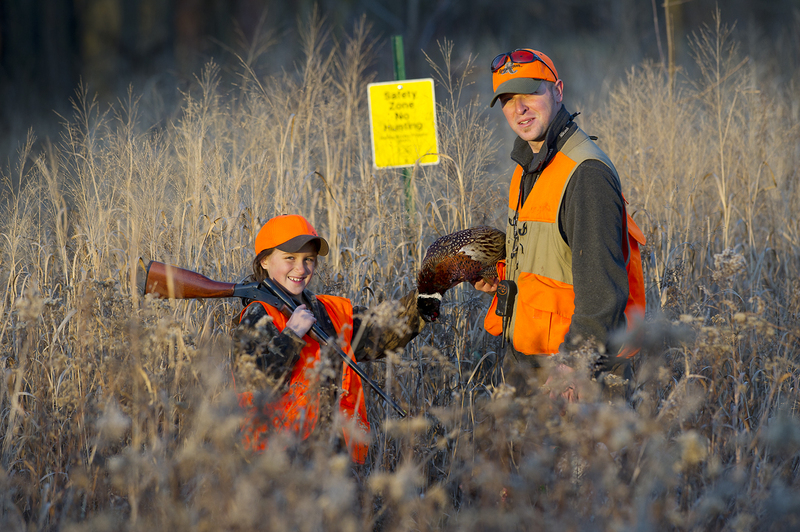 Pheasant habitat is one of the types listed in the Hunter Access Program. Photo: Dave Kenyon, Michigan DNR. Mike Parker, the DNR’s Hunting Access Program coordinator, says the new federal funding will help rebuild the program. The $1.2 million grant was appropriated in the 2014 Federal Farm Bill. Only nine states were awarded grants. “It is great news,” said Parker, the former Pheasants Forever regional biologist for Michigan. “We were happy to be so competitive. We’re going to focus on enrolling lands that are in the (federal) Conservation Reserve Program or wetlands program, and Conservation Reserve Enhancement Program. They have high quality habitat and (the) land owners have shown a willingness to work with government and participate with government. “Research shows that if people don’t have a place to hunt, they won’t go,” Parker said. He was a member of the DNR’s 2010 Hunting Heritage Committee. It was charged with investigating why hunting participation was declining, and what might be done to reverse the trend. Access was the single most important factor found, the biggest limitation, according to Parker. The DNR started rebuilding the program in 2011 by paying farmers more competitive rates. It pays farmers between $2 per and $25 per acre depending on the habitat, what can be hunted, and whether youth and apprentice hunters can use it. But there was only so much money to go around. HAP currently offers hunters 15,710 acres on 135 properties. The goal for 2017 is more than 24,000 acres on 180 properties – with about 6.000 acres in the Upper Peninsula. Michigan had to come up with a $400,000 match to get the federal money. Those dollars will come from Michigan’s new base hunting license. Parker said the DNR is finishing up the Environmental Assessment that is required to get the federal grant. He expects the program will move forward early in 2015. It is commendable that the DNR is working to rebuild the HAP. It’s a program hunters want and it provides a good return for their hunting dollars. It may never be as large as it once was, but it adds diversity to the mix of public hunting lands. That means there will be a little bit more to choose from still close to home. Published in Mlive Media Group newspapers and MLive Outdoors. This entry was posted in Uncategorized and tagged Conservation, DNR, Hunting, Michigan Department of Natural Resources, Wildlife. Bookmark the permalink.